How fortunate we are, in the city of Kingston, (Victoria, Australia) to have someone like Julia Reichstein to support and nurture local writers. Via her Author for All Seasons events at the Mentone Public Library , she not only showcases local writers, but also supportive organisations such as the Mordialloc Writers Group. This group meets every second Tuesday to workshop work in progress and has seen both my novels in their raw form. For over twenty years, creative writing teacher and author, Mairi Neil has been the founder and mainstay of the group. Her editing expertise is legendary. Through her tireless efforts many local writers have had their stories published in the eight anthologies produced. I count myself fortunate to be amongst them. I was delighted to be with her and members of the group to showcase our latest anthology of essays, Kingston Our City. Julia also invited me to give an author talk on Saturday, 26th November 2016 and has sent out fabulous flyers showcasing my book cover for my latest novel to be published this year by MadeGlobal Publishing.com. Another Victorian author Wendy J Dunn has had her third historical novel Falling Pomegranate Seeds published by MadeGlobal in 2016. Something Missing is about Diane, a naive young married woman who knows that there must be more to life than hairdressing and mothering and needs to discover what it is. When she meets in outback Australia, an older, ‘educated’ American she is attracted by Maggie’s self confidence and broad literary and general knowledge. Diane instigates a pen-pal relationship in the desire to absorb wisdom from Maggie and her knowledge of the world. 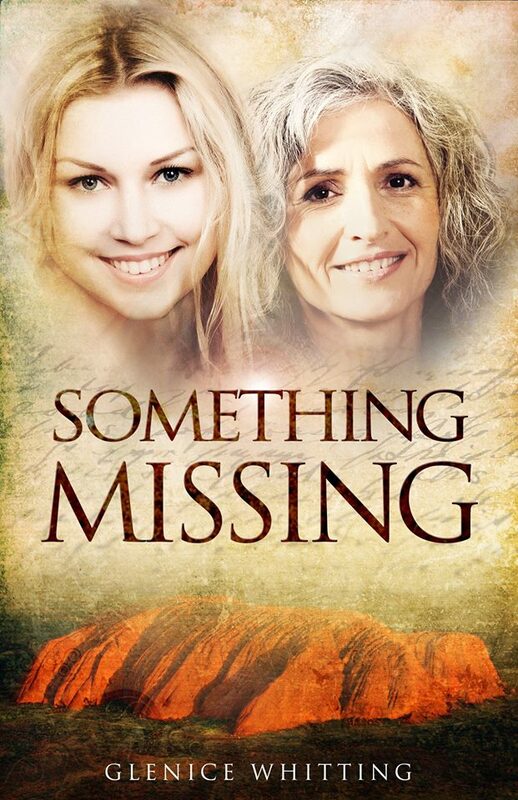 Something Missing is a story about growing up, growing old, of love, lies and reconciliation. Below is the flyer she has sent out for me. Glenice will be talking about the process involved in publishing Pickle to Pie (Ilura Press) and her latest novel, Something Missing by MadeGlobal Publishing.com. With people like Julia, Mairi Neil and the Mordialloc Writers Group writing is no longer a solitary occupation. It is a shared experience with like minded people who care. we are lucky to have Julia and her author voice series and also you as a local author. hope all is well and you have a great weekend. What time is it, Glenice? Lovely to see you here, Lisa. I had to double check but it is 11am Sat 26th Nov at the Mentone Library. xxxxx. I think it finishes about 12.30 if I allow time for questions. There are sure to be some concerning how to get your work published. Congratulations for this wonderful day. I wish I could be there in body. Looking forward to reading SOMETHING MISSING. I know exactly how that feels. You have my full emahtpy. Did you like garlic before all that? I remember liking pumpkin pie as a kid, but now even the thought of it makes me queasy.